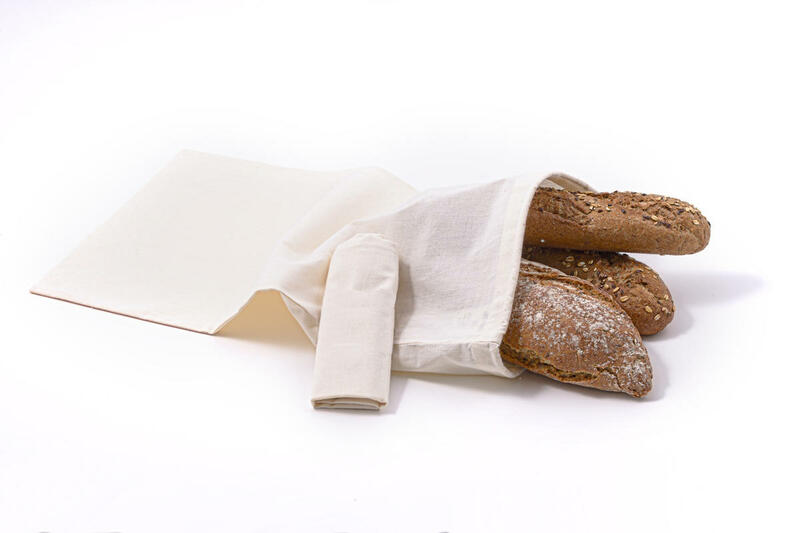 Organic cotton canvas bags are suitable for pastries, herbs, teas, dried mushrooms, etc. They have a tightening cord so the contents of the bag just do not fall out, and the bag is easy to hang. These foods can either be purchased directly into these, or later stored in these bio-bags. The stickers with the barcode from the balance hold on them without problems and the cashier usually does not even wonder :-). Organic cotton is approved for food use. Organic cotton is planted at eco farms that follow clear rules for organic food and cotton, from seeds to the final production of the cloth including sewing. The use of toxic chemical agents during plantation or production is forbidden, as these may cause harm to the workers and the environment. Genetically modified organisms are banned as well. Clothes made from organic cotton do not cause allergic reactions. Unlike synthetic materials (polyester, fleece), organic cotton does not release plastic microfibres during washing. As wastewater treatment plants cannot deal with these microfibres, they end up in rivers and seas, contaminating water and soil, causing harm to animals and sometimes ending up on our plates. Organic cotton, from which your new bedding is made, has been grown, produced and certified according to the standards of the international organization GOTS. These standards set out the methods relating to growing cotton, its harvesting and the production of clothes and other textile products including colours, threads and buttons, while having regard to the social and working conditions of the workers. Find out more about cultivating and producing organic cotton (in English). MAINTENANCE: Wash at 40 °C, preferably in a gentle detergent. Do not use fabric softener. Shrinkage up to 5 %. Subject * Product inquiry Set of cotton bags L (46×30 cm) 3 pcs RMA Misc.